Southwest Airline CEO Mike Van de Ven today released a statement to address numerous reports over the past 24 hours about the airline’s irregularly high number of flight cancellations. 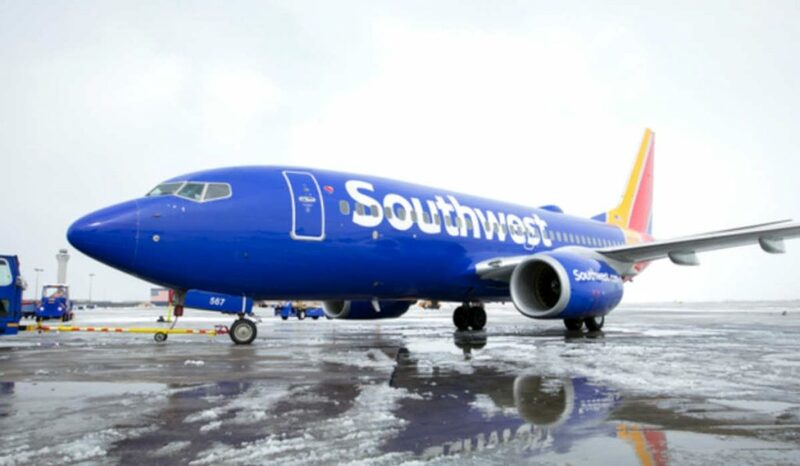 One report by CNBC, referencing data from the FlightAware tracking site, notes Southwest had canceled 181 flights on February 19, which represents about four per cent of its operation. Van de Ven began his statement pointing to an ongoing, six-year negotiation with the Aircraft Mechanics Fraternal Association (AMFA), which represents approximately 2,400 Southwest mechanics. On February 12, Southwest experienced what Van de Ven describes as an unprecedented number of out-of-service aircraft in four maintenance locations. He noted this took place a few days after its most recent negotiation session with AMFA, without any changes to the airline’s maintenance programs, leadership, policies or procedures. “We are committed to operating a safe fleet, and every report is investigated, which is why we issued a notice to require an all-hands response to get out-of-service aircraft back into the fleet serving our customers,” stated Van de Ven. The out-of-service aircraft were driven primarily from four of our 20 maintenance locations and by a subset of our entire mechanic workforce. The number of aircraft out of the fleet has driven cancellations, in some cases extremely long delays and other operational impacts over the last week. Southwest utilizes a regular team of approved third-party vendors to help with our ongoing maintenance program. Currently, we are assigning as much scheduled maintenance program work to those providers as possible which allows our Southwest mechanics to work the increased workload of maintenance tasks they have identified. AMFA has a history of work disruptions, and Southwest has two pending lawsuits against the union. We will be investigating this current disruption and exploring all possible remedies. Southwest prides itself on its reliability and works hard each day to get its Customers where they want to go. We apologize to our Customers who have been inconvenienced by this disruption.